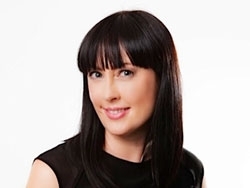 With an extensive clinical and research background in musculoskeletal pain, Helen Slater knew many health consumers were struggling to access the essential information and skills needed to assist them with their pain management. But the overwhelming difficulties for patients really hit home for the Associate Professor of the School of Physiotherapy and Exercise Science at Curtin University, when she began interviewing patients about their musculoskeletal pain as part of a pioneering initiative to address the service gap. “It’s knowing the burden. We understand the prevalence, the epidemiology, and the cost but the poor person on the ground, they don’t know where to go, they don’t know who to trust,” she says. “There’s a general lack of understanding, and they just slowly withdraw from their lives - their lives are on hold. Assoc. Professor Slater, a specialist musculoskeletal physiotherapist, and her project co-leader Dr Stephanie Davies, a pain medicine specialist, joined forces with a multidisciplinary team of clinicians, researchers and health policy professionals, including pain medicine specialists, rheumatologists, neurologists, physiotherapists, occupational therapists, psychologists and nurses, to develop an innovative website, painHealth. 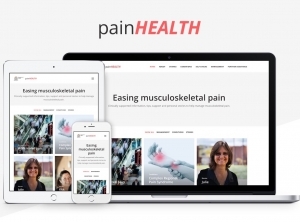 The site, launched in 2013 and recently updated, is designed to provide health consumers with access to reliable, practical and usable evidence-based information, tips, support and personal stories to assist them to manage their musculoskeletal pain. The website, developed in partnership with the WA Department of Health, the University of Western Australia and Fremantle Hospital, aligns with models of care developed by the Musculoskeletal Health Network and other strategic frameworks for musculoskeletal health, including the National Pain Strategy, and features recommendations from the International Association for the Study of Pain, including the Declaration of Montreal. Assoc. Professor Slater says persistent musculoskeletal pain is a debilitating and common condition, affecting about one in five Australians, and costs the economy about $54 billion every year. “It’s absolutely massive. It’s a very common problem in the broader community but that sort of pointy end of the triangle where most health services are being used are those who have moderate to severe pain that’s not well managed or understood in the broader community nor by many health professionals,” she says. “We did a considerable body of work prior to this particular initiative with the WA Department of Health. It became apparent as we moved out of metro areas and into some of the regional and remote parts of WA, that there was a real gap in services, and we are very mindful of that, particularly given the context of musculoskeletal pain. The first of its kind in Australia, the website was designed for Western Australian residents but has exceeded its original intention and is now a success on the international stage - receiving over eight million hits to date, and a total of 620,000 visitors, from over 150 countries right across the globe. Assoc. Professor Slater says the website has been a success, largely because of the project’s focus on engaging people with pain as key members of an external reference group, right from the project’s inception. “A lot of the time in health, people don’t actually ask health consumers what they might want, and their voice was very loud about what content should be there and the nature of the content,” she says. “For example - ‘we’d really like to hear narratives from people who have different sorts of pain and what the barriers are for them and how they’ve managed it’. “We did a lot of work on interviewing a whole range of people who lived through the typical sort of musculoskeletal pain conditions that attract the most burden, so osteoarthritis, low back pain, neck pain, rheumatoid arthritis. “I think that was a really powerful lever because those YouTube clips are short - about five minutes long, edited down from about 40 minutes of content. The website was built around the principles of self-care and takes a whole of person approach, covering sleep, mood, immunity, nutrition and exercise, and features a safe and reliable evidence-based suite of information and tools in a simple, user-friendly format, while also including links to references. “A lot of the time you might need three or four key things to manage your pain and this website says - here are some of them, here’s how you can use them,” Assoc. Professor Slater says. “We’re not saying you don’t need other care. We’ve built self-checks into the system that might help to guide people through to their health professional if they’re at risk of serious depression or the mood is so low that you’re worried about suicide or perhaps they’re using medicines inappropriately, mixing alcohol and other stuff. In the lead up to National Pain Week, from July 24-30, Assoc. Professor Slater is encouraging physiotherapists and their patients to visit the site, and tap into its range of resources and benefits.